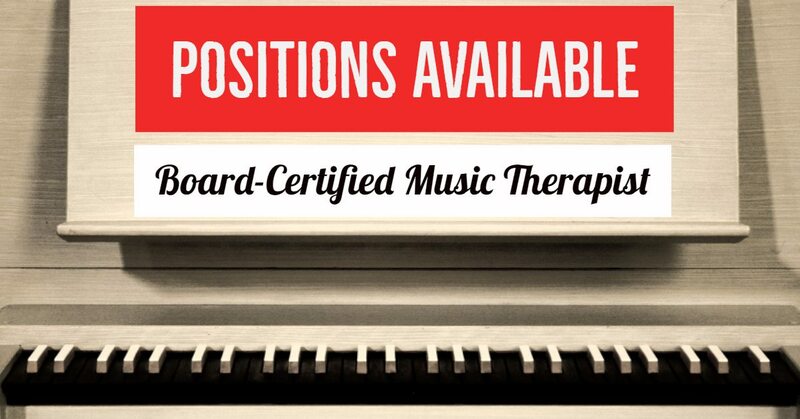 MusicWorx and Resounding Joy are happy to announce that we are looking to add a Board-Certified music therapist to our clinical team! Edit: Full time MT position available as well. Founded in 1987, MusicWorx is a music therapy and wellness agency whose mission is to create, nurture, and maintain an environment of growth and unlimited potential for those around us. We are an innovative, established private practice that serves children and adults with developmental, neurological, medical, and mental health needs in clinics, schools, hospitals, and community settings throughout the greater San Diego area. MusicWorx is both an AMTA-compliant provider of music therapy services and an AMTA-approved clinical training site for degreed music therapists working toward national board certification. Barbara Reuer, an internationally-recognized leader in music therapy, founded Resounding Joy in 2004 and has guided the organization’s growth from a group of volunteers with a closet of instruments to San Diego’s primary nonprofit provider of music therapy. Resounding Joy serves the community through four programs designed for underserved populations: Semper Sound, Mindful Music, and Healing Notes. Semper Sound is devoted to military service member rehabilitation and transition to civilian life. Mindful Music trains volunteers to use recreational and supportive music with seniors of all abilities. Healing Notes improves medical outcomes and quality of life for children struggling with severe or life-limiting diagnoses. The position is primarily clinical but will require documentation, travel, and organization assistance as needed. Employment will be with the company where the staff member spends their majority of time, with additional hours supplemented by the sister agency. The company executive office is located near Del Mar in north coastal San Diego County, California. Music therapists may provide services throughout San Diego County. Mileage reimbursement is provided between client locations. The start date for this position is May 1, 2019 or earlier. Intern Supervision: Provide mentorship and guidance to MusicWorx interns during services and through personal meetings. Attend and participate in event-related activities and meetings as requested. Exercise good judgment and confidentiality in dealing with volunteers, donors, and staff. Time Commitment: Hours vary, but include afternoon/evening hours and occasionally weekends.